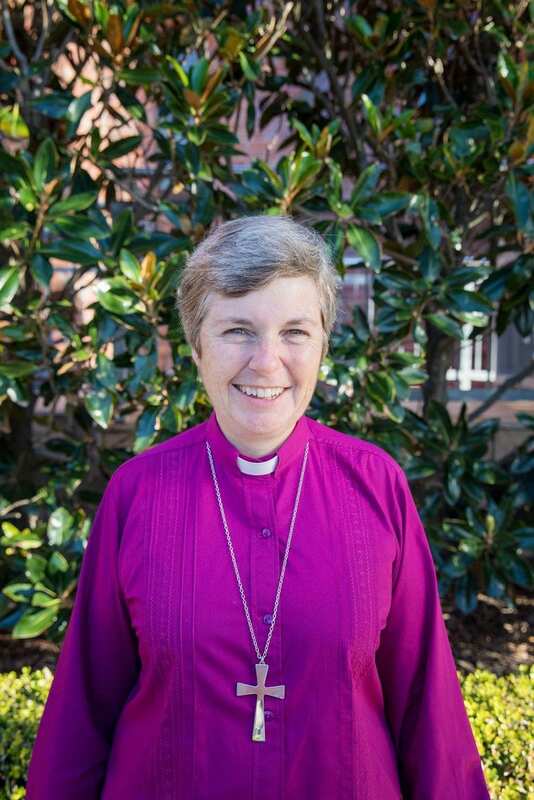 On his first full day as the Bishop of Newcastle, 3 February 2018, Bishop Peter Stuart announced that the Diocesan Council had concurred with his nomination of Archdeacon Sonia Roulston to become the Assistant Bishop to exercise episcopal ministry for what is to be called the Inland Episcopate. 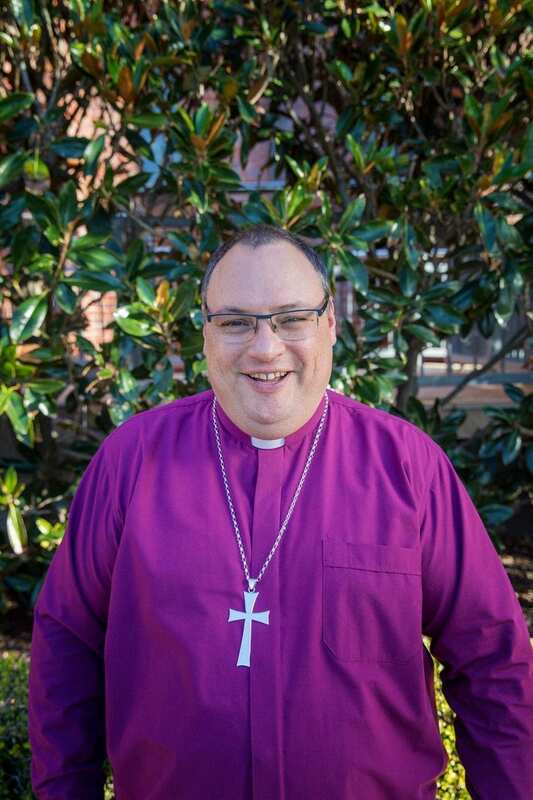 The Diocesan Council also concurred with his nomination of Archdeacon Charlie Murry to become the Assistant Bishop for what is to be called the Coastal Episcopate. Bishop Peter will continue to minister across the whole of the Diocese and share episcopal leadership with Bishop Charlie and Bishop Sonia. Charlie was born in Mackay NQ and grew up in the Parish of North Mackay. His mother convened the parish Church School which first taught him stories of faith and he served in the sanctuary there. A childhood spent walking through the shadow of the Pioneer Valley’s EFM groups welded Charlie’s imagination and faith to the daily stuff of his life. The conversation about life in faith continued in the catechumenal groups of the Brisbane Parish of Kenmore-Brookfield. They were hectic years of an honest day job, gigging and courting Melissa Tindal, an epoch that culminated in a wedding and entering St Francis college. Charlie was ordained deacon in November 2004 and priest in December 2005, serving a curacy at Wynnum on Moreton Bay and as incumbent of Charleville in the bush. The conversation focused in the ‘Living Stones’ conferences laid the stepping stones of the call to Singleton. Lucy and Jake arrived in 2006 and 2008. Among other things, they delight in reading, telling, dancing, acting and singing stories and in these days Charlie with Melissa delights in sharing story, song and life in faith with them. Sonia comes from the Parish of East Maitland, her family having moved there during her Primary School years. She attended the parish Sunday Schools, and through them became involved in the parish’s GFS (Girls’ Friendly Society) group. GFS has been an important part of her life and faith ever since. Her leadership was formed through GFS and also the parish’s youth group, as well as through involvement at DYCON and other Diocesan Youth events. Sonia worked in the lab at Tyrrell’s Vineyards (note the loose Diocesan connection), prior to entering St John’s College. Her workmates said she was “Going from testing wine to blessing wine”! Sonia was ordained Deacon in February 1995 and priest in November of that year, and has enjoyed ministries in the parishes of Gosford, Singleton, Windale, Cessnock, and Morpeth, before being invited to become the Diocesan Archdeacon. She has also had rich experiences of the Anglican Church nationally and internationally through GFS and is currently National Chaplain. In her spare time she likes to read, play bridge, and attempt the cryptic crossword.